The Respironics V200 critical care ventilator provides state-of-the-art ventilation modes with synchrony options that reduce work of breathing and streamline patient care. As a busy clinician, you will appreciate the V200's design and its range of treatment modalities for all patient populations. 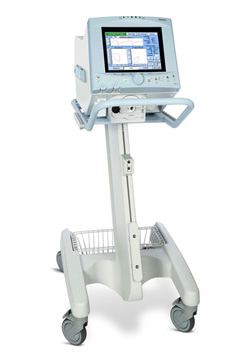 The V200 supports care in any environment by connecting to Philips patient monitors and hospital information systems for a seamless flow of ventilation information.